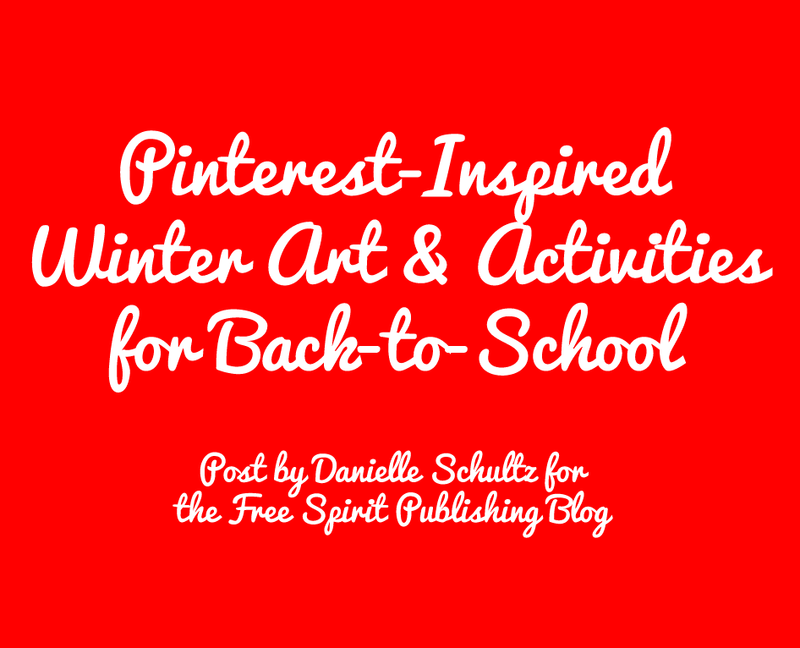 Get your creativity flowing with my latest post for the Free Spirit Publishing Blog, Pinterest-Inspired Winter Art and Activities for Back-to-School. I share simple winter-themed crafts and activities you can use in lessons and groups. What winter-themed art or activities are you planning? The holidays can be a challenging time for divorced and separated families. 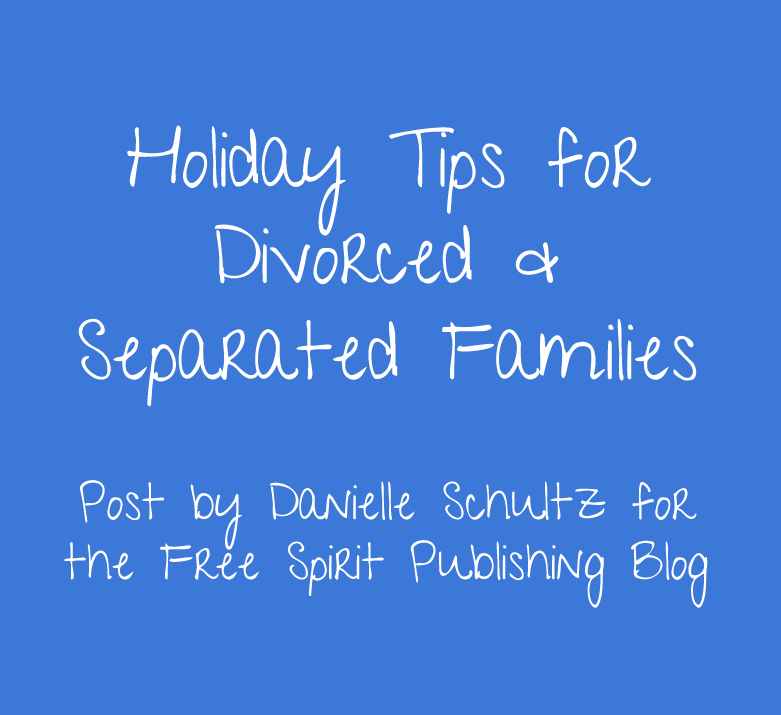 In my post for the Free Spirit Publishing Blog Holiday Tips for Divorced & Separated Families, I tips that can be used during the winter holidays and holidays throughout the year. 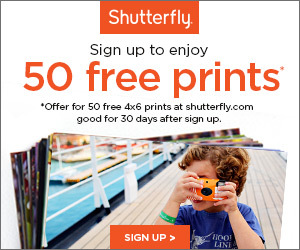 What tips do you have for divorced and separated families during the holiday season? In this busy time of year, it can be difficult to slow down to reflect on the things for which you are thankful. 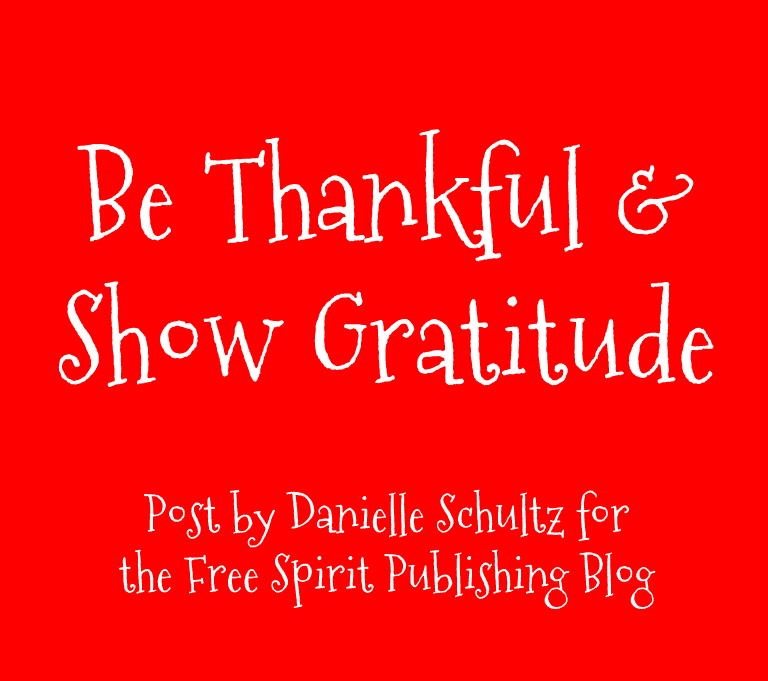 In my post for the Free Spirit Publishing Blog Be Thankful and Show Gratitude I share ways you can show thanks to those around you! How do you show gratitude and thanks? The topic of the the December #SCCHAT was Holiday Assistance Programs. The chat was moderated by Andrea Burston (@andreajburston) elementary school counselor and blogger at JYJ Counselor Blog. School counselors shared resources for planning and organizing a holiday assistance program. Join us for our January #SCCHAT on January 6, 2014 at 8pmEST. The topic is TBA. There are many situations in schools where students have to talk or perform in front of a group. In my post for the Free Spirit Publishing Blog Combating Stage Fright, I share tips for helping students. How do you help students combat stage fright? 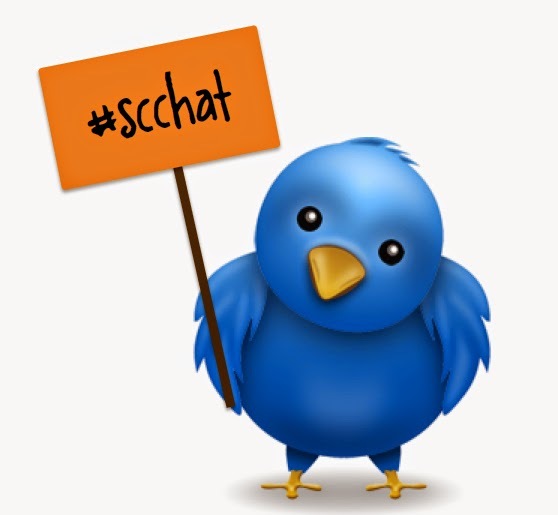 Our December #SCCHAT will be held on December 2, 2014 at 8pmEST. Andrea Burston, blogger at JYJ Counselor Blog and Carol Miller, blogger at The Middle School Counselor will be moderating the chat about holiday assistance programs. Both Andrea and Carol have run holiday assistance programs at their schools in the past. Join us for ideas on how to start your own, or make your existing program better. I wrote a post last year for the Free Spirit Publishing Blog where I highlighted both Andrea and Carol's holiday assistance programs. Check out the post here. This year at school I am co-hosting a holiday assistance program that is kind of a mash-up between Andrea's and Carol's program. I can't wait to see how it goes and share how I did it with you all. The topic of the the November #SCCHAT was Girls' Friendship Challenges. The chat was co-moderated by Annie Fox (@Annie_Fox), author and parenting expert (she has a new book about Girls and Friendship here) and Erin Rebling (@erebss), elementary school counselor from Pennsylvania. School counselors shared great resources for assisting girls with responding to and managing conflict. Join us for our December #SCCHAT on December 2, 2014 at 8pmEST. The topic is Holiday Assistance Programs. The December #SCCHAT will be moderated by Andrea Burston, blogger at JYJ Counselor Blog and Carol Miller, blogger at The Middle School Counselor. Both Andrea and Carol have run holiday assistance programs at their schools in the past. Join us for ideas on how to start your own, or make your existing program better. November is National Runaway Prevention Month! 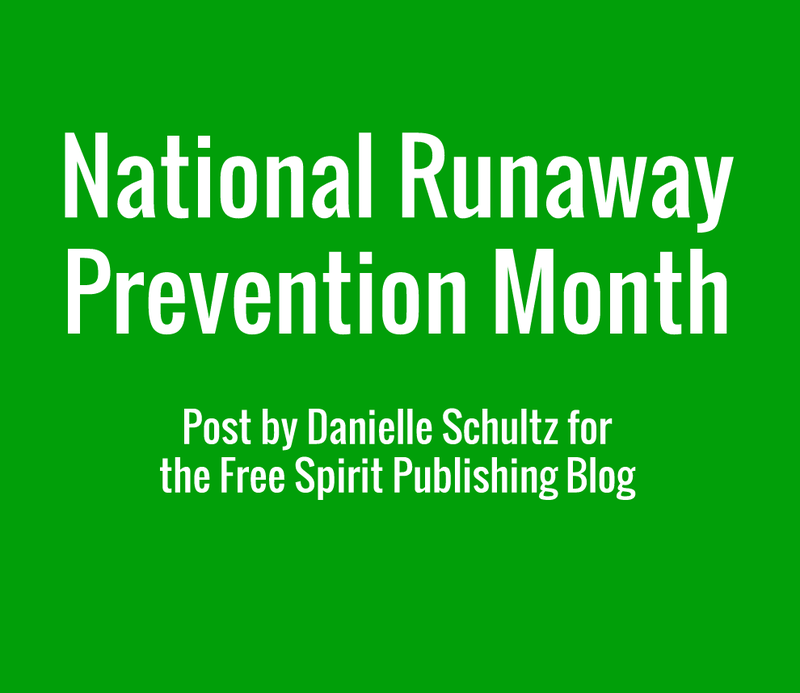 Check out my latest Free Spirit Publishing Blog post National Runaway Prevention Month for resources for supporting runaway youth and ideas for spreading awareness. How do you spread awareness about runaway youth? 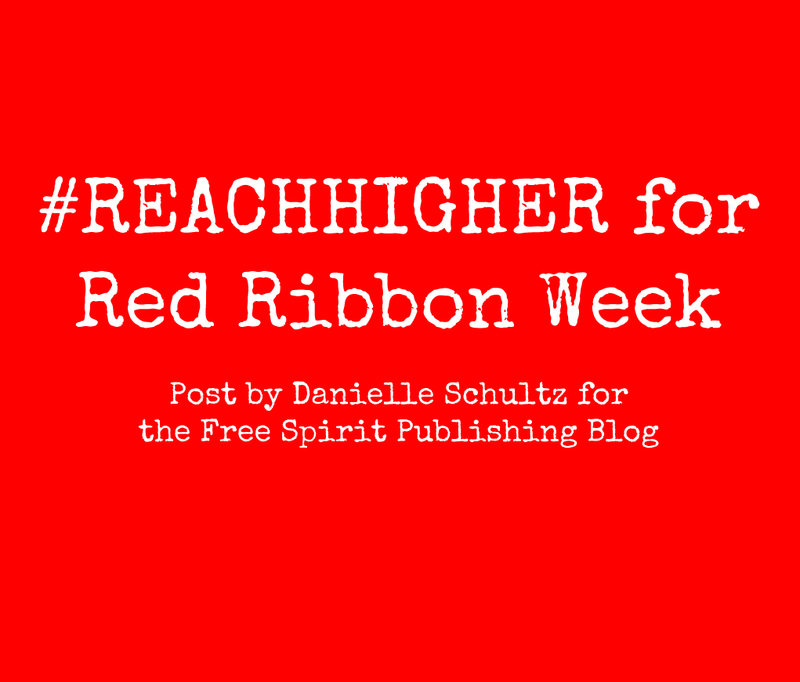 In my latest post for the Free Spirit Publishing Blog, #REACHHIGHER for Red Ribbon Week, I share a college and career take on Red Ribbon week, by focusing on higher education! How do you celebrate Red Ribbon Week? 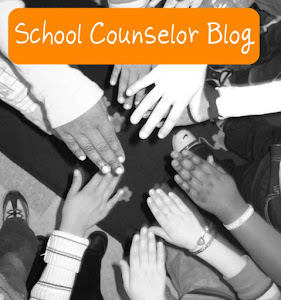 The topic of the the October #SCCHAT was Q and A with School Counseling Graduate Students. The chat was moderated by graduate students at Virginia Commonwealth University and their professor, Julia V. Taylor @juliavtaylor, author of The Girls in Real Life Situations (G.I.R.L.S.) group curriculum (and many others! ), speaker, doctoral student, and former high school counselor! The VCU graduate students asked excellent questions about where to find resources, interacting with parents, applying for jobs, and much more! Girls' Friendship Challenges and will be co-moderated by Annie Fox (@Annie_Fox), author and parenting expert (she has a new book coming out about Girls and Friendship here) and Erin Rebling (@erebss) elementary school counselor from Pennsylvania. Anyone who has attended the ASCA National Conference can easily answer the first question. Those that have not - you are thoroughly missing out. The ASCA conference is three days of networking, learning from over 100 breakout sessions, and getting encouraged by top keynote speakers (like Michelle Obama!). How cool is it? It actually afflicts those who attend with PADS after leaving! Sadly, there are some school counselors that have never attended and one of the main reasons is because there is a lack of funding. That is why we are back for another year of the School Counselor Community Scholarship (#SCCS15). We have upped our donation/fundraising goal from last year to 5 full registration scholarships ($1, 750) to give to some school counselors in need! So now what? Now we need you! If each reader decided to donate only $5 - which is less than that triple hot sugar free double shot caramel frappuccino you just ordered - we would blow our goal out of the water! 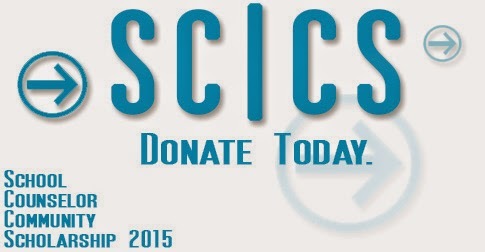 So I challenge you to donate $2, $5, $20, or $100+ to help school counselors out there attend ASCA 2015 in Phoenix, AZ. The scholarship applications will be open early in the new year - please check back for links or visit www.thecounselinggeek.com. Jeff Ream is Geek Master, Professional School Counselor at The Counseling Geek, and a High School Counselor at North Tahoe HS. The Counseling Geek is an online professional development and learning tool for practicing school counselors and graduate students who want to build their technology and 21st Century Skills within their program and school. TCG is also great for those looking for jobs and tips in their hunt for a great career. With video tutorials hosted on YouTube on topics like how to get started with social media networking and creating digital portfolios, TCG provides tips on new technology in counseling. The video is about a girl who has a public account online. It outlines some of the dangers of having your information open and available for anyone to see. It is 8 minutes and 34 seconds long. Before watching the video with my students, I explained that the video we are about to watch can be a little creepy at times, but I felt like it was important to for you to see what can happen if we do not take our digital safety seriously. During the video students gasped at different parts, especially when the predator goes into her open house and into her room. They were all fully engrossed for the duration of the video. I left enough time in the lesson so that we could have a discussion after watching the video. I first asked students what stood out to them about the video. We discussed how the predator being able to walk into the girl's home was like having your account open to the public; anyone can get in. We also discussed the ways to be safer in the digital world that were highlighted in the video. I think this video was very impactful and I plan to use it for future lessons as well. 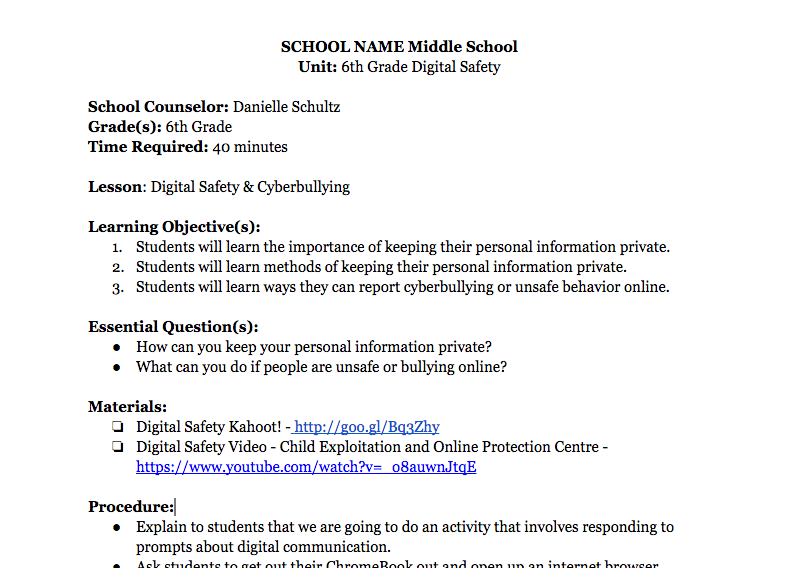 Below I shared access to my full lesson plan for Part 1 and Part 2 of my Digital Safety lesson. I did the lesson within one class period, which is 40 minutes in my school. In my lesson I share the ASCA Standards and I included the new ASCA Mindsets and Behaviors. Once the grade-level bands are up I will update this document to include those as well. How do you teach students about digital safety? Share your ideas and resources below! Lately, I have a Google Presentation obsession! I love that Google Presentation allows for easy editing and moving things around, unlike a Word or Google Doc. Google Presentation (and other Google Drive Apps) have lots of cool fonts, which is one of the reasons I like to use Google Presentation to print letters for bulletin boards. 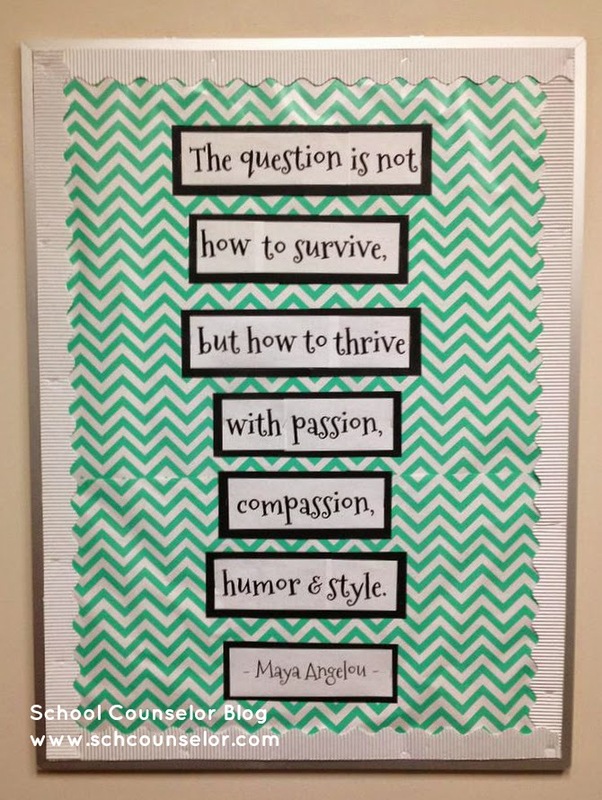 I recently found a great Maya Angelou quote on Pinterest that goes great with our "Thriving" theme that I mentioned in my post about my Growth Mindset Bulletin Board. I liked how there was a patterned background on this version of the quote on Pinterest. 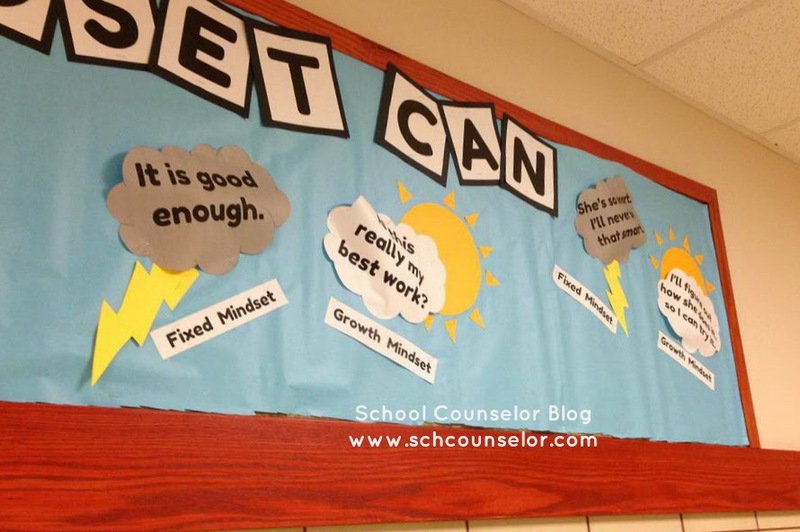 I thought it would make a fun and inspirational bulletin board inside the school counseling suite area. When I saw chevron wrapping paper at Target I knew I had to use it for the background! I used Google Drive Presentation to created the quote for the bulletin board. For the background I used teal chevron wrapping paper I bought at Target in the party supply aisle. I printed out the quote on regular computer paper. I cut the words and phrases to size and framed them with black card stock. I stapled them to the board then framed the bulletin board with white boarder trim. You can click on the image above (or here) to get a copy of the file that includes the words for the quote. Have you made any bulletin boards of a quote? What materials do you use for bulletin boards? Last year I ran a book group for parents and caregivers. I decided to call the book group "Thriving in the Middle" to counter the negative language surrounding middle school. You often see books and articles about surviving middle school or how middle school was the worst years of people's lives. I was planning to incorporate the concept of "thriving" and how school counselors can help students thrive into other aspects of my school counseling programming this year. 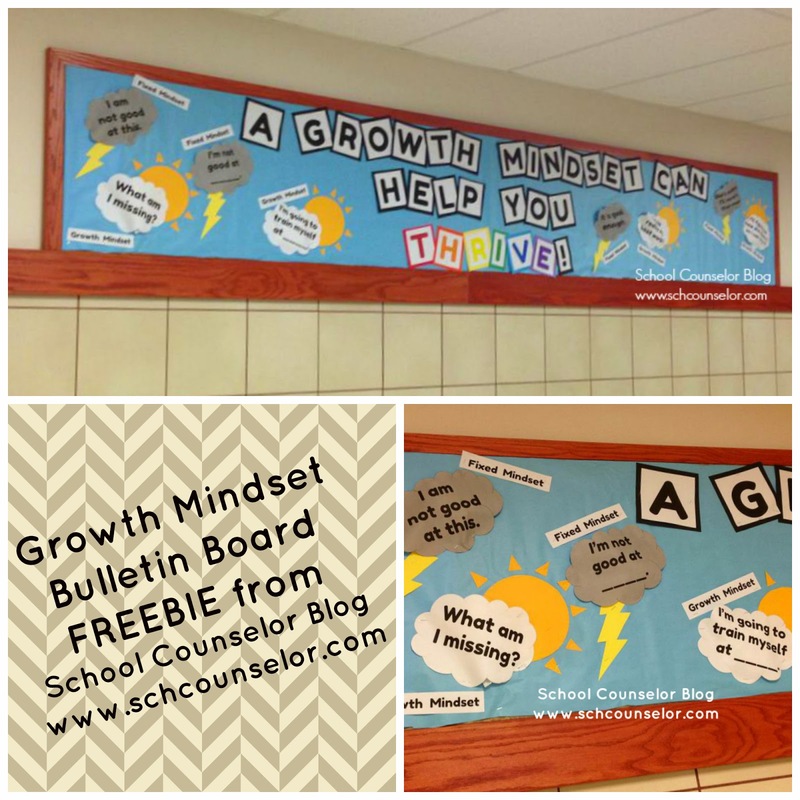 I have been wracking my brain to come up with bulletin boards ideas to go with the thriving theme. 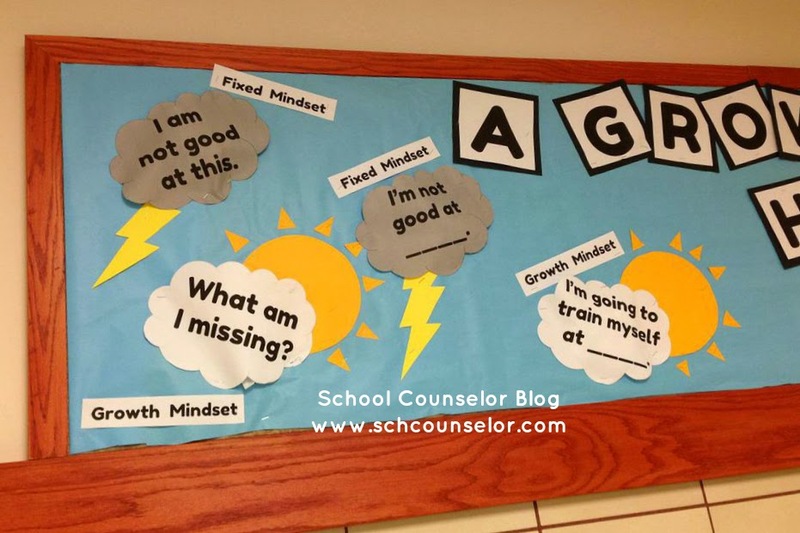 The first one I'll share is a growth mindset bulletin board. Carol Dweck's book Mindset: The New Psychology of Success discusses the difference between a growth mindset and a fixed mindset. Growth mindset is the idea that intelligence can be developed, whereas fixed mindset is the idea that intelligence is static. Growth mindset is popular trend currently in education. I haven't read Dweck's book yet, but I am planning to make it one of my parent book club selections this year. This video by Matthew Metoyer gives a great brief synopsis about growth mindset and fixed mindset. A close up of the left side. A close up of the right side. I decided to title it, "A Growth Mindset Can Help You Thrive!" to fit with the thriving theme. I made more examples of fixed and growth mindset that I plant to rotate. I ran out of space to put them all on the board. I intentionally wrote "CAN" instead of "WILL" because I wanted it to be phrased and a choice and opportunity. Using the word "WILL" I felt would be contributing to a fixed mindset. I used Google Drive Presentation to created the bulletin board clouds and letters. You can click on the image above to get a copy of the file that includes the letters and images. I printed the letters and clouds on regular computer paper. I cut them to size then cut black cardstock and colorful card stock to put behind the letters. I printed the lightning bolts on computer paper, traced them onto yellow card stock, and cut them out. I used a round picture frame from my office to trace the circle for the suns and free-hand cut out the triangles to surround the sun. I included sun images in the Google Presentation bulletin board file, but I did not use them in this version. The topic of the the September #SCCHAT was SMART Goals: Teaching Them, Writing Them, and Reaching Them. 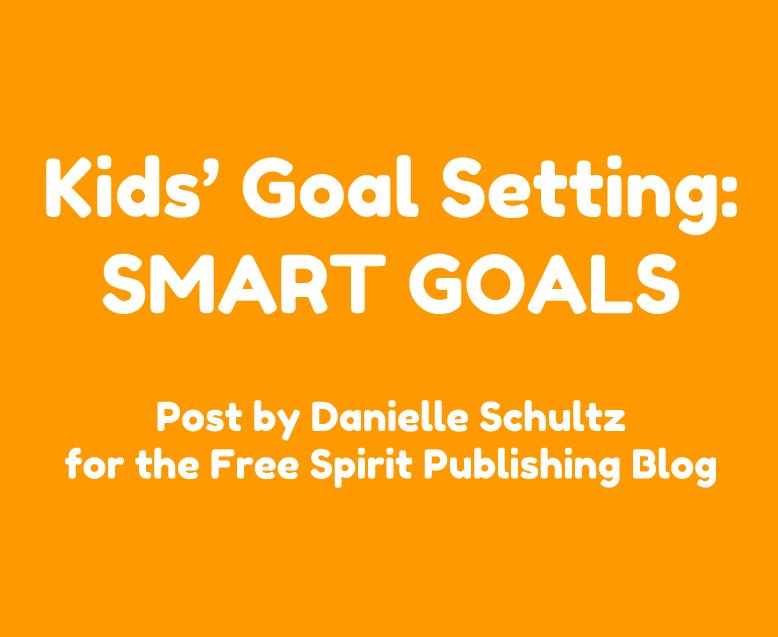 The chat was moderated by Dylan Hackbarth(@dylanhackbarth), a high school counselor from Washington D.C..
School counselors shared lesson ideas, tips for writing and reaching SMART Goals, and resources about SMART Goals. Q&A with School Counseling Graduate Students and will be moderated by Julia V. Taylor @juliavtaylor, author of The Girls in Real Life Situations (G.I.R.L.S.) group curriculum (and many others! ), speaker, doctoral student, and former high school counselor! Awhile back I wrote a post about requesting college swag and what to do with it. This year one of my goals is to expose my students to higher education opportunities in the Pittsburgh, PA region. Over the summer, I sent out emails to admissions offices at local colleges and universities in my county and surrounding counties requesting pennants to display in the school counseling area at my school. In the emails I explained how I would be using the pennants at my school. A few weeks ago I started receiving the pennants! I couldn't be more excited about the response I received so far! Today I hung up the my "All Students College & Career Ready!" banner and the pennants I received so far. I am hoping to represent all of the colleges and universities in the Pittsburgh area and then expand my efforts to elsewhere in PA and beyond! Below I included the exact message I sent to Duquesne University, where I am pursuing my doctoral degree. I thought this might be helpful to others who are wondering what to write when requesting materials from colleges and universities. 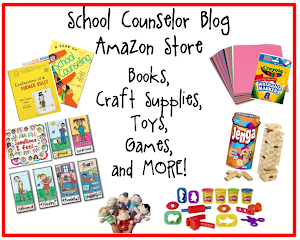 My name is Danielle Schultz and I am a school counselor at SCHOOL NAME. My goal this year is to increase efforts to expose middle school students to college and career information, especially to higher education opportunities in our region. I would greatly appreciate if you could send me a Duquesne University pennant to display in the school counseling area at SCHOOL NAME. 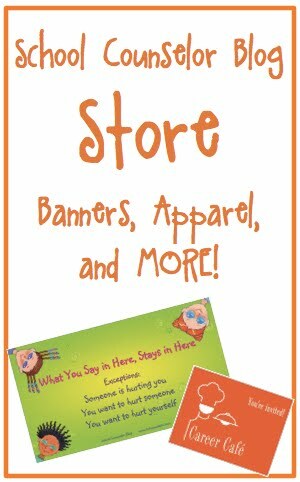 If you would like to send any other promotional materials, please do! Thank you for your support in exposing middle school students at SCHOOL NAME to higher education available in our region! As a side note, I am currently in the Counselor Education and Supervision Doctoral Program at Duquesne, so I am especially excited to promote Duquesne University to my students. I added an additional personal touch to the Duquesne message because I thought it would be helpful for them to know that I am a student there too! 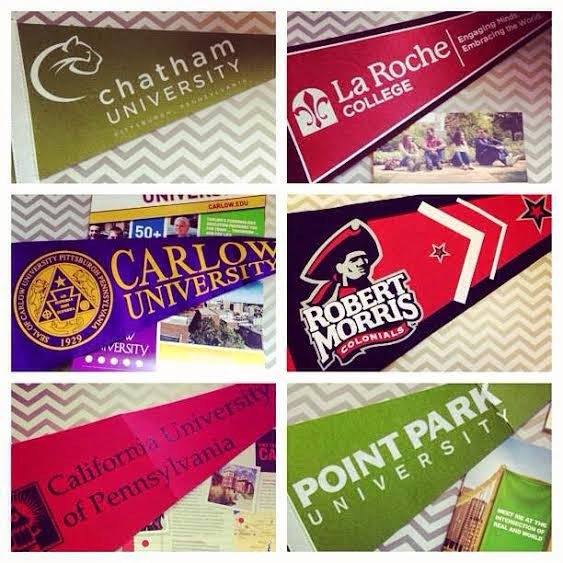 Have you requested pennants or other college/university promotional materials? Share your tips with us! How do you promote higher education opportunities to students? Share your ideas and resources below!